Are you looking for a fall internship that will help make a difference in your community? Join the Equality Florida team! We're looking for energized, hard working students who want to get some real experience in political organizing. Submit your resumes to [email protected]. "I enjoyed this internship more than I had with prior organizations because I felt I constantly had direction and I was given actual responsibility. Most internships are filled with tedious work that rarely ever relates to your actual area of interest but Equality Florida is an exception to that rule. I was given the opportunity to work directly with LGBT youth and to partake in events and work that was actually making a difference." "The most important thing that I will take from this internship position is inspiration. 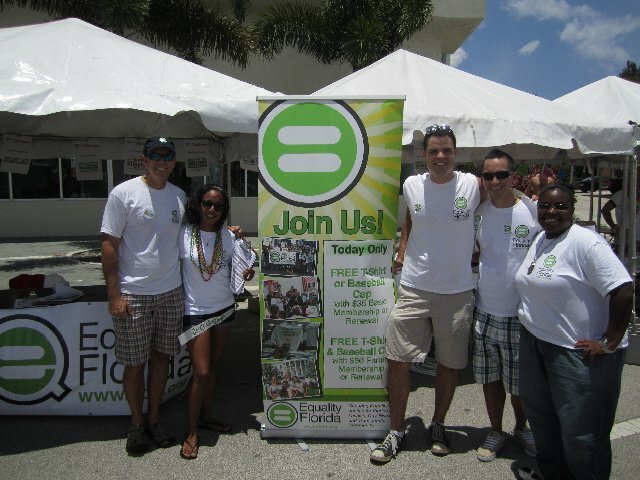 After seeing how dedicated the EQFL staff has been and more notably learning how non-profit political groups operate I really believe that even just a few people can make big changes in the world around them. It has always been a dream of mine to someday start a non-profit political organization. I am confident that if my dreams ever came to fruition that my experience at EQFL will help me run a successful and effective organization." "One interesting task was legislative tracking; it allowed me to get a feeling for how bills are written, filed, and their path through committees. Gathering information on political candidates running for office so Equality Florida members could make informed choices when voting was probably one of the most rewarding tasks because you can get a true sense that you’re bettering your community." Submit your resumes to [email protected].